Commissioner Crittenden announced the Department has reinstated driver’s licenses to approximately 6,300 parents whose licenses were suspended for nonpayment of child support. Available on Apple and Android devices, the GA DCSS mobile app provides easy and secure access to your child support account on the go. Avoid wait times on the phone. Click the “CHAT WITH US” link below to reach an expert who can help you with your child support case. Do you have a Child Support case and need a job? 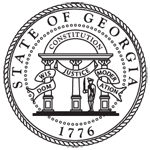 The Georgia Fatherhood Program, works with noncustodial parents who owe child support but lack the ability to pay. Do you know of anyone receiving food stamps, child care or TANF benefits in error, or have you seen anyone abusing those benefits or violating any other DHS program rules? The Parental Accountability Court Program seeks to remove the underlying issues that cause noncustodial parents to become chronic non-payers of child support. Customer Online Portal is an interactive website where you may give or obtain information about your case and find out about payments to your accounts. Online Portal gives you access to your case 24 hours a day. ATLANTA - Georgia Department of Human Services (DHS) Commissioner Robyn A.
Chat with a DCSS representative to access information on a new or existing case or request information on navigating the DCSS website.